Polyester with drawstring shoulder straps. 15 1/4" H x 17 1/2" W. Imported. 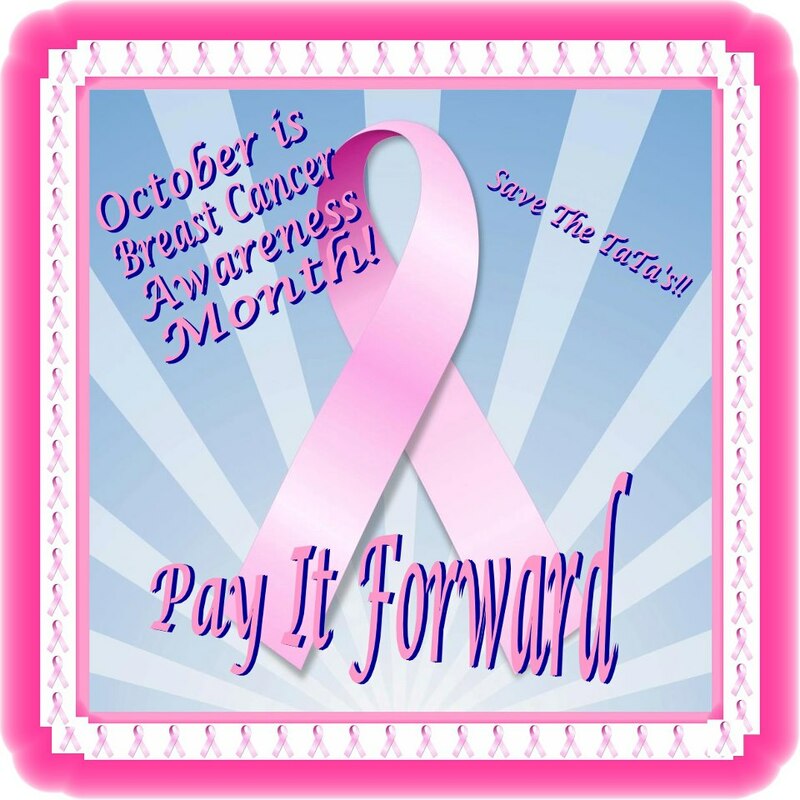 100% of the profits ($6.02) will be donated to the Avon Breast Cancer Crusade. Pin: Silvertone with rhinestones. 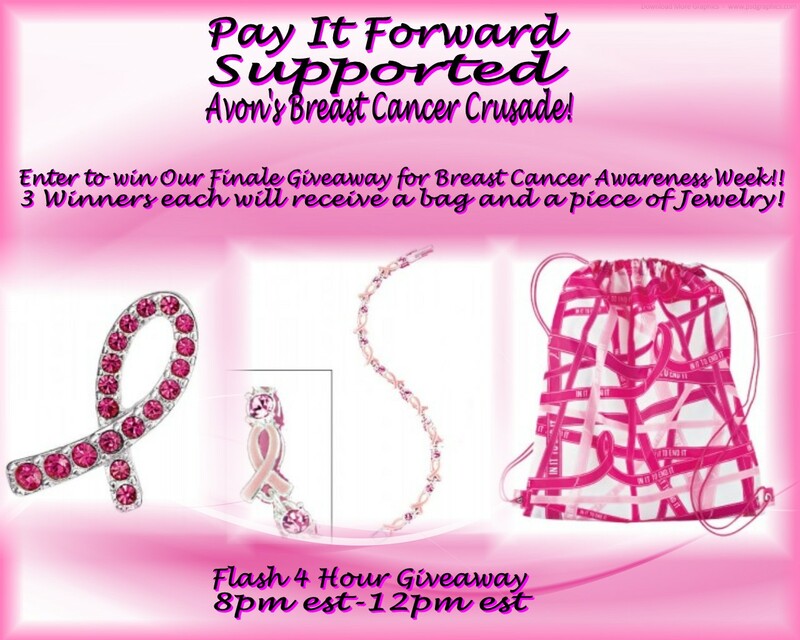 3/4" H.
100% of the net profits ($2.16) will be donated to the Avon Breast Cancer Crusade. Bracelet: Silvertone with light rose crystals and pink enamel-look ribbon motif. 7" L with 1" extender. 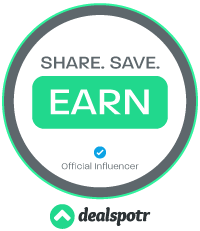 100% of the profits ($3.64) will be donated to the Avon Breast Cancer Crusade. AND everyone gets a Breast Health Resource Guide. Together, we can celebrate life. In 1992, Avon began mobilizing the unique power of our global network of sales Representatives to sell Breast Cancer Crusade products that raise funds and awareness for the cause. Today, Avon is the leading corporate supporter of the breast cancer cause, having donated more than $740 million to breast cancer programs around the world over the last 20 years. Help raise funds and awareness for education, screening and diagnosis, access to treatment, support services, and scientific research by purchasing a Breast Cancer Crusade product. 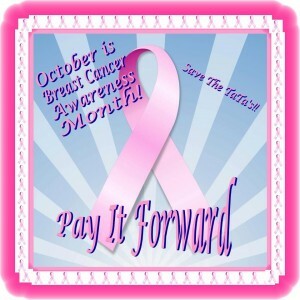 With October being Breast Cancer Awareness Month, we wanted to give our readers a chance to pay it forward as well. By entering this giveaway, we would love it if you would remind just 2 of your female friends to perform their breast self exam this month. That's it! center;">Giveaway ends at midnight EST! Open to US only. I love the pin, I'm not sure I might keep it or give it to someone I love. The bag-I would keep it for running errands around town.